Today starts in Barcelona the Week II of the Social Responsibility of Catalonia, in which it participates Human objetivo him to give it To know that the program will puesto up with him in order to collaborate closely with companies interested in the progress al cooperation as important aspect sus of CSR initiatives. For this reason, Humana will put it on a stand that is part of his team present him Projects Department responsible for them llevan initiatives in place around this area. Join him with exhibition area, the week includes several round tables on social responsibility, the introduction of the so-called 'Tag Head', the Voluntarily Day, Open Day House, a film series, among Others activities. 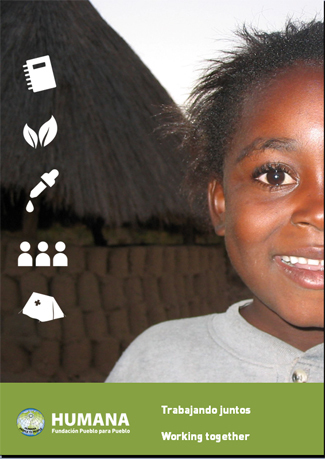 Humana was founded to combat poverty with the active participation of communities in this process. To achieve this purpose, the Foundation believes that intersectoral collaboration are absolutely essential. Working with several partners that play an essential role in the environment and he him progress worldwide, Humana is constantly esfuerza forjar nueva alliances to eradicate poverty. *Supporting philanthropic activities without effects on su Budget.